The flowers of this Stephanotis plant are reminiscent of the most perfect little snowflakes resting on those gorgeous green leaves. We have presented this plant in a holiday-themed bucket along with a festive reindeer pick for that final touch! 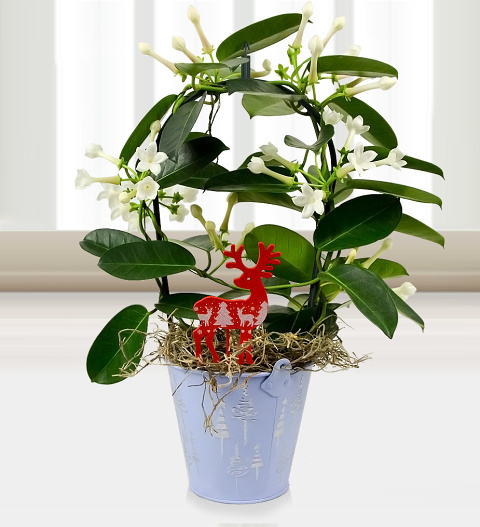 Send this flowering plant for Christmas and spread that holiday cheer! Chocolates may contain nuts.